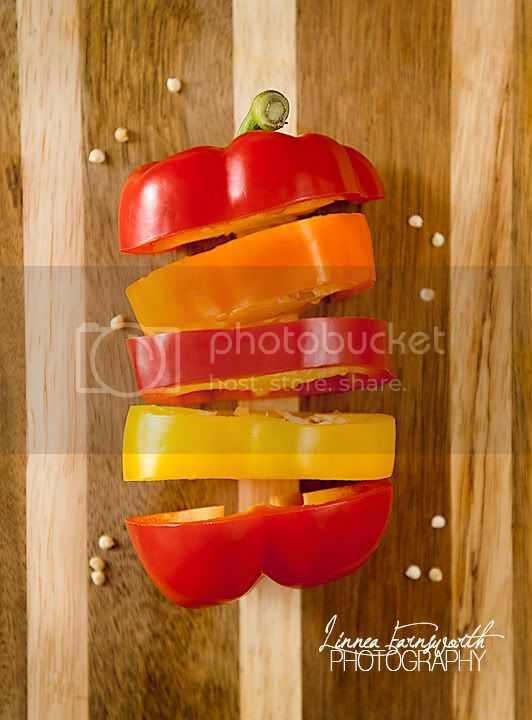 Linnea Farnsworth Photography: Analogous Pepper. I love to cook, and when it's cold outside (or practically frigid, like now) I always want to cook something warm. We do a lot of soups and pasta dishes, and generally I end up throwing some type of pepper in - be it golden, red, green, etc. So declicious. And looking at this picture makes me feel warm right now, despite the fact that I'm actually shivering in my sweatpants. It has been a while since I checked out your blog. You are fantastic! I especially love the shots out at the salt flats, provo canyon and the tabernacle. I can really see your progress. I am so impressed! I love everything on here!